Choose from London Bus or Changing of the Guards print. You can almost hear the hussle and bustle of London's streets. 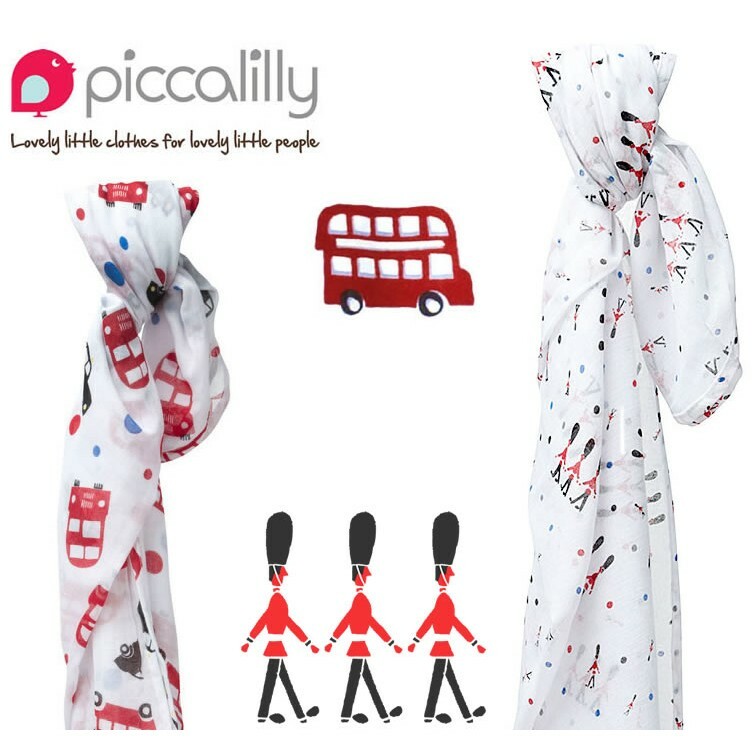 Large (120x120cm) Lightweight organic cotton muslin wraps in a funky London design, great for swaddling, feeding, burping, wiping or as a cot sheet. Swaddling is an ancient art that can make your baby feel calm and secure and these organic & Fairtrade cotton muslins are just the thing. Free from harmful chemicals, 100% natural and breathable, a great place for your baby to be all wrapped up in.